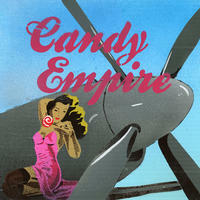 Candy Empire: 1950s america, dusty cult movie soundtracks. Should you come across Candy Empire, you'll recognise 1950s America, dusty cult movie soundtracks, cigarette-soaked watering holes, and the first love of an ageing Cuban jazz pianist. Clouded in whiskey fumes, they drive through the city with the top down, stop at red-light districts, and fall asleep in the arms of a purring cat-woman. As hopeless romantics, they run their fingers across old vacuum-tube radios, bringing out dirty, rough and tender sounds. Like dark chocolate that melts into a trippy high, everything dissolves; boundaries vanish, for the imperial capital is free! Candy Empire lives in Tallinn, Estonia. 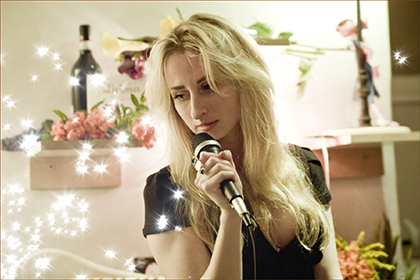 Tagged as: Electro Rock, Pop, Vocal, Electro Pop, Keyboard, Synth.